This is easily one of the best books I’ve read this year. It is exquisitely written and every thought and emotion the characters have come alive on the page. Beck and his father are on their way to Beck’s dream college, Notre Dame, when tragedy strikes and his father dies. His mother, Natalie, falls into a deep depression, relying on Xanax and wine to ease the pain. Beck is left to pick up the household responsibilities including taking care of his younger siblings. The guilt and grief becomes so overwhelming he eventually ends up addicted to heroin. After disappearing for two months, Beck shows up on their doorstep and collapses from a drug overdose. At the hospital, he is put into a medically induced coma to relieve the swelling on his brain and this is when the story really begins. The story is told in Beck and Natalie’s perspectives, between the present and past, covering the time frame Beck is in the coma. Cole cleverly takes us to the past to see how exactly this situation came to be. If you’ve ever dealt with addiction in your family, this book will really hit home. It’s incredibly heartbreaking and fantastically well-done. With honesty and raw emotion on each page, I felt all the despair, guilt, and fear on both sides of addiction; it’s a first row seat into this harrowing life. The characters are complex but accessible and draw you in instantly. Beck’s flashback chapters are the most eye opening and hardest to read but my heart went out to him. I have family members that have succumbed to addiction, so I completely sympathize with Natalie and empathize with Beck. Cole brilliantly captures every character perfectly and the story as a whole comes together in the end. 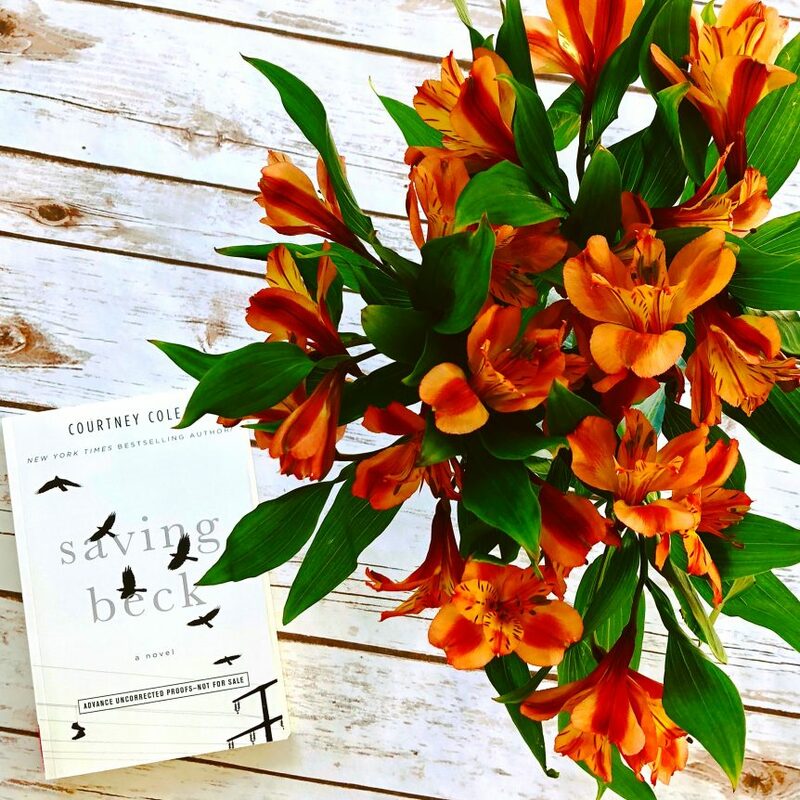 SAVING BECK is a stunningly beautiful novel that I recommend to EVERYONE.